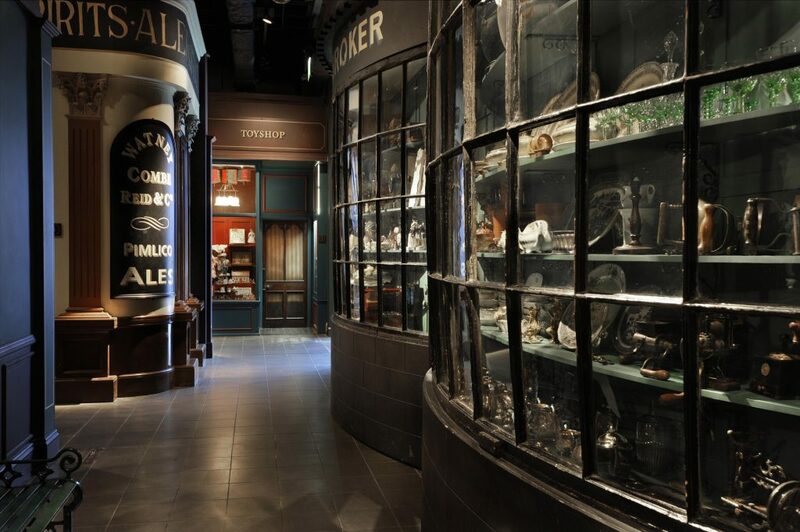 It’s no secret that at the Museum of London you can transport back to many different eras of life in London, but now you can experience Christmas in a different era too. Down on Victorian Walk, the fantastically recreated Victorian street, not only can you immerse yourself in a Victorian London street full of traditional outlets such as shops, a barbers, a bank and even a pub, all full of objects from the museum, but for the festive season you will also find a beautiful little Victorian grotto. 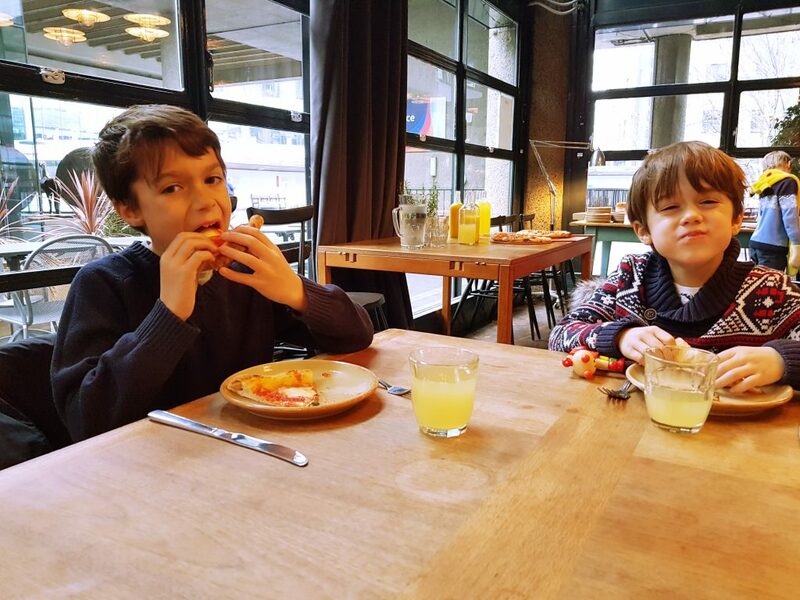 We were invited by the Museum of London to head down and spend a few hours checking out the grotto, the museum shop and the adjoining London Wall Bar and Kitchen, as well as of course exploring the whole museum. With the festive spirit well and truly taking over the Dais Like These household, and with Mr F learning all about the Victorians at school at the moment, we were all super excited for our visit. The museum itself is free to enter, but as with many of the free museums across London, a voluntary donation is always welcomed. A visit to the grotto needs to be booked in advance online and tickets cost £10 and include a gift for each child. 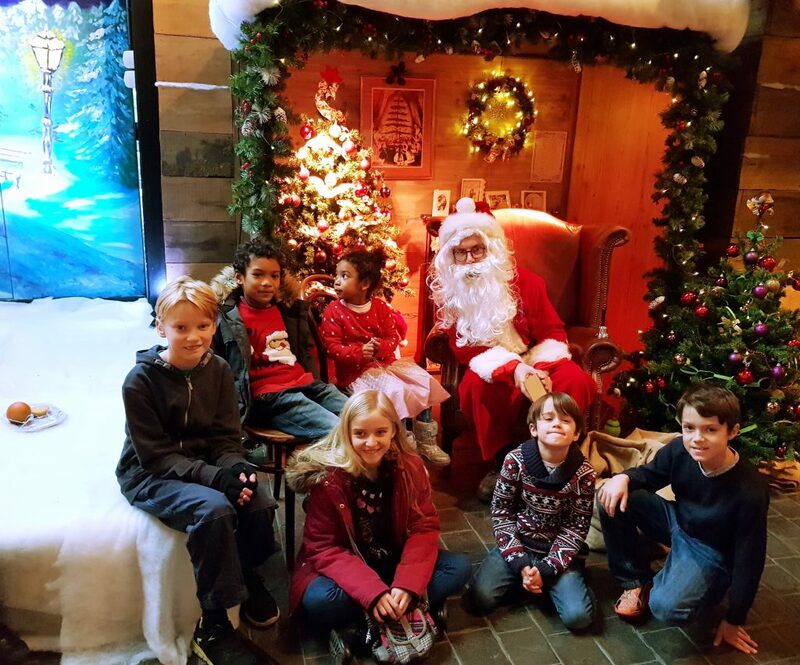 When booking your ticket, you choose a 15-minute time slot meaning queuing times are kept to a minimum and the kids are straight into the grotto. Inside you are greeted with a pretty Victorian scene complete with many authentic little touches such as the mantelpiece adorned with Victorian Christmas cards and the traditional pictures on the walls. The cute little grotto is surrounded by a snowy landscape backdrop, trees hung with traditional decorations and twinkling lights all around. Children sit on chairs or on the floor and Father Christmas chats to them asking all the classic questions; if they have been good, what they are hoping to receive this year, and what they need to leave out for him on Christmas Eve. I have to say that although he was lovely, he wasn’t the most convincing Father Christmas! Luckily for me, my boys are at the stage now where they believe that the big man just sends helpers, so it was fine. Each child is then given a gift, wrapped in brown paper and tied with string, again adding a fab little Victorian touch. The kids were eager to unwrap and were pleased to find a lovely little wooden toy inside. As a parent, it was refreshing not to see them open another plastic train or pull back car that inevitably breaks after 10 minutes! There is the option to have a photo taken with Father Christmas and printed to take away, this costs an additional £8. After our visit we enjoyed a wander around the museum, which I could honestly happily do for hours on end, before heading to the museum shop where I was surprised to find an amazing selection of gifts, all inspired by the city of London itself. We managed to pick up a few Christmas gifts during our visit which was brilliant – one less thing to do in the coming weeks! Tired and hungry from the adventures of the morning, we headed over to the London Wall Bar and Kitchen which is just across the walkway from the main museum entrance. 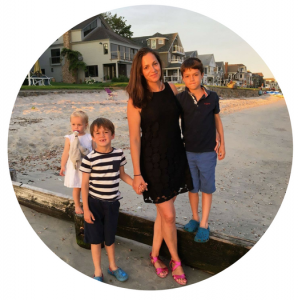 We were treated to a delicious selection of pizzas, which just so happens to be a firm favourite with all three kids! It was great to discover this lovely restaurant so close by, it was beautifully bright and airy with some really cool pieces of furniture and lighting. They had high chairs, baby changing and a kids menu too, so super family friendly as well as ideally located. 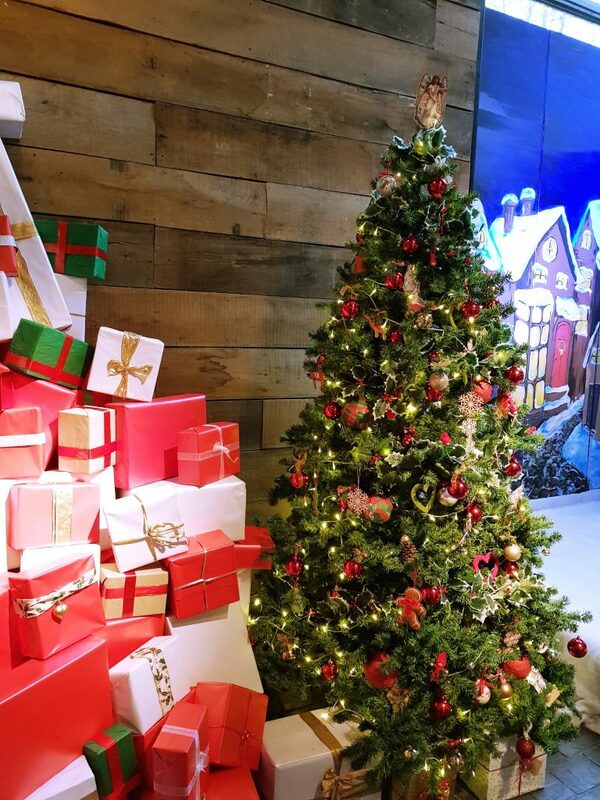 So if you are visiting London over the festive period and are looking for a Christmas grotto with a little twist, then I can thouroughly recommend visiting Santa along the Victorian Walk at the Museum of London. The lovely Su from Ethan & Evelyn visited the grotto on the same day as us and her kids also had a lovely time, check out her review. 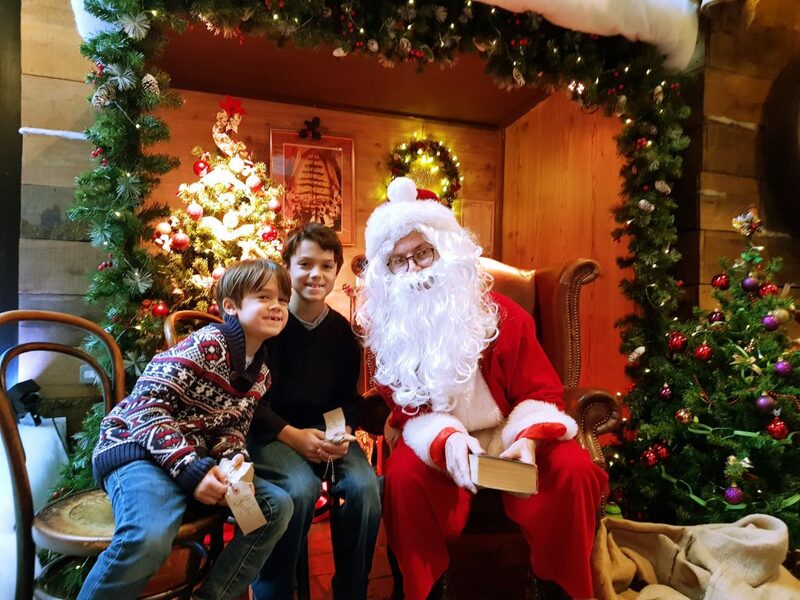 Have your kids visited the grotto at the Museum of London? I’d love to hear what you thought of it! 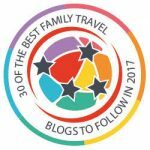 If you are looking for inspiration for Father Christmas visits around the UK then check out my post on 10 Amazing Father Christmas Visits in the UK. 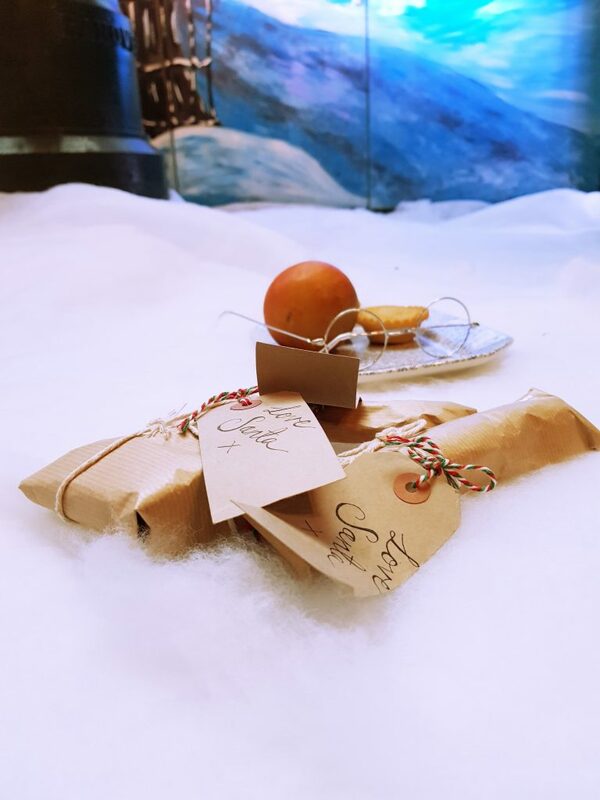 Disclosure: We were invited by the Museum of London to visit the Victorian Grotto and were provided with lunch. There was no obligation to write a review. As always, all views are mine own. 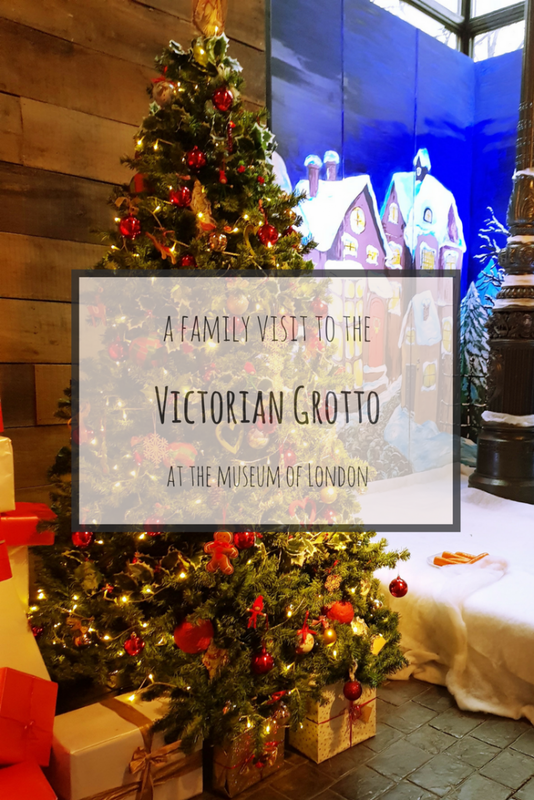 I really must get back to the Museum of London – I’m sure I managed to miss all kinds of exhibits on my last visit, and I had no idea they had a grotto. What a lovely setting for it too. I hadn’t realised they do a Santa grotto a Museum of London. Maybe we’ll give it a try next year! 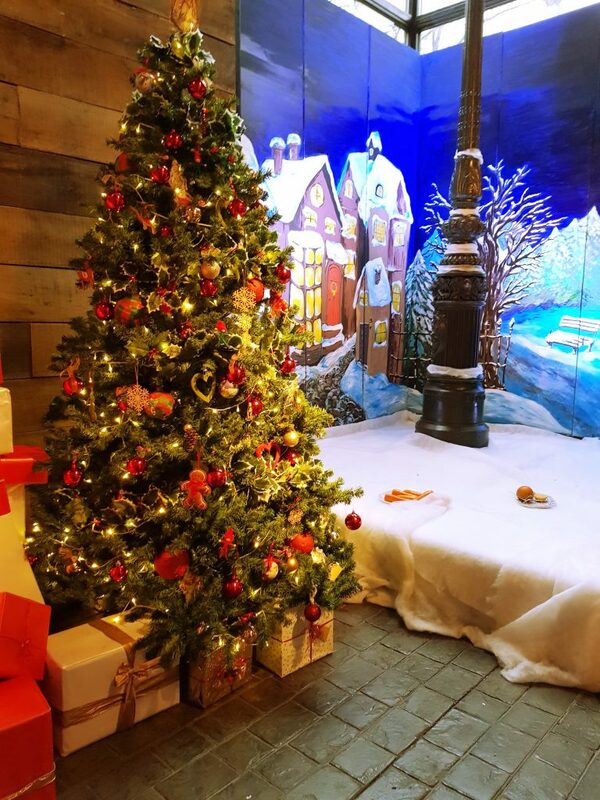 We’ve wanted to visit for so long now and it looks even more magical at Christmas!